Guilty Pleasure Confession: I LOVE The Bachelor franchise. Love it. I mostly love it because it’s something Zach and I enjoy watching together. It’s a great show to talk during and kinda poke fun at. We crack each other up and the experience of watching it is almost better than the show itself. 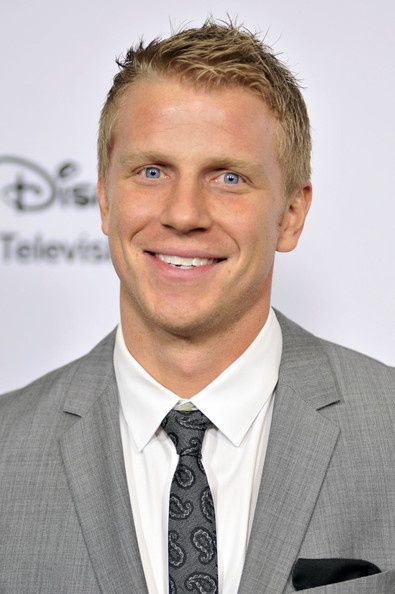 This season Sean Lowe was The Bachelor. We really loved him on Emily’s season. We weren’t upset or disappointed when she didn’t choose him in the end because we both agreed he could find someone much better suited for him and someone who was better in line with his values. Out of all the seasons I’ve watched I went into this season feeling confident that Sean would be one of the few to choose someone who would truly become his wife. He has his head on straight…and thinks with it rather than other body parts 😉 He came in knowing what he wanted in a wife. He didn’t hesitate in sending people home. He didn’t let the girl that all the other girls hated stay for too, too long. He valued the opinions of his parents and family. He looked at each girl deeper than just LOVE. He looked for similar long term goals and values. He was legit about finding a wife! The ONLY thing that really bugged me about Sean was his constant insistence on “marrying his best friend.” It surprised me that he valued “best friendshipness” high on his list in a wife. While I think marrying your best friend is a nice IDEA, I don’t think it’s super duper important in the grand scheme of a successful, or even happy, marriage. Marriage is THE biggest decision of your LIFE. SO much of your life revolves around that choice. It is not something to be taken lightly. Or casually. It has been said: Choose your life’s mate carefully. From this one decision will come 90 percent of all your happiness or misery. That quote is SO TRUE. 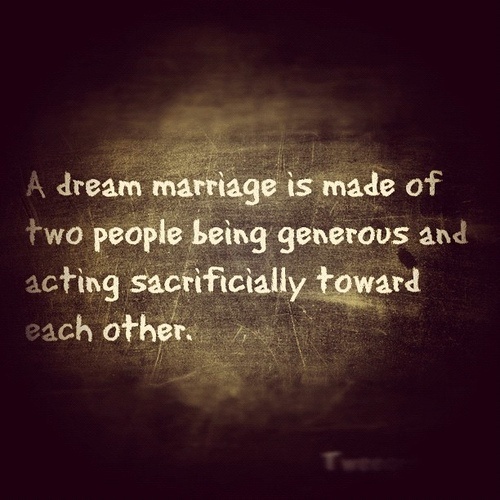 I feel that marriage is taken so lightly in our society today and that is not how God intended it to be at all. Zach and I do not believe in “soul mates.” We both agree that we could have married someone else. That we could have been just as compatible with someone else. We chose each other. We also do not believe in love at first sight. Lust at first sight, sure. But love? Nope. So often people confuse the two. When you are with someone for a long time that “lust” begins to fade. Love is not an emotion, but instead it is “a purposeful commitment to sacrificial action for another.” Love is an action word. A decision we make. Something we DO. Not something we feel. Just as we don’t believe in soul mates or love at first sight we also don’t believe in searching for your “best friend” to marry. Obviously, you need to LIKE your spouse. 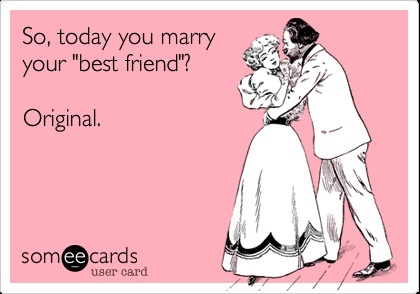 And being friends with your spouse prior to marriage is def a great thing. But not essential. How many times have we met someone and thought we have an instant connection? A girl that we can see ourselves being bffs with because we just seem to complete each other? Only to be disappointed when we realize maybe we didn’t have that much in common after all? And how often has the exact opposite happened? We meet someone and the MORE we get to know them the MORE we like them and the deeper our friendship becomes. Just because you’re not best friends with your husband when you first get married does not mean you won’t become best friends throughout the course of your marriage. Zach and I are MUCH better friends now than we were six years ago, for sure! When we get married most of us are in our 20s. We grow. We learn. We change. So do our friendships. Many of us look back at our high school or college friends and have simply outgrown those relationships. Chosen different paths in our lives. We often form friendships based off service level things. We both love the same tv show and can talk about it for hours on end. We both enjoy going shopping together and trying on clothes. But then what if one of you stops liking that show? What if one of you starts budgeting more and can’t afford to shop all the time? Often times such friendships become divided because they are based off service level similarities. I believe marriage is much the same way. People marry someone because they have similar interests. They click. They are attracted to each other. They enjoy the same hobbies. They are “best friends.” But then they grow. They change. Their interests change. Those small things they had in common are no longer there and what they are left with are the BIG things that divide them because they aren’t on the same page. Instead of looking for friendship, or even love, when I looked for a spouse, I looked for someone who I had similar BIG things in common with. Zach and I met and were attracted to each other but didn’t REALLY hit it off until I told him I wanted to be a stay-at-home-mom. We realized we both had the big life goals in common. He, too, was not playing games dating random girls. 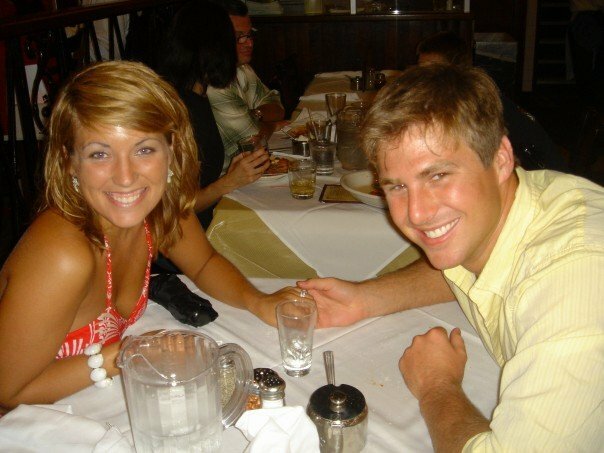 He was focused on looking for a spouse (yes, even though we were only 19 we both were on the hunt for our forever partner!) and he was looking for deeper traits that would make someone the right wife for him. There were times, and these still happen, where are small item differences get in the way. That’s what our arguments are based on. Small things. Things that we bicker about and will never remember 30 years from now. But we have ZERO fights over big issues. We both believe strongly that no matter what it takes I will stay at home with our children full-time. We both believe in putting God first and never question attending services or tithing each month. We have the same long term goals for our children. We have the same views on spending and managing finances. More than anything else though we both feel strongly that no matter what we won’t give up. When times are tough in our marriage we both know we will not allow divorce to occur. When the lust feelings fade. When we grow differently and don’t feel like we’re as close of friends. When we bicker over small decisions. We know no matter WHAT that we are in this for the long haul. Often times we hear that we are called to be “one” with our spouse and we become under the idea that we must COMPLETE each other. (Thanks Jerry McGuire for that misconception!) We must have every single little thing in common and we must get every single thing we need from our spouse. That’s not true! 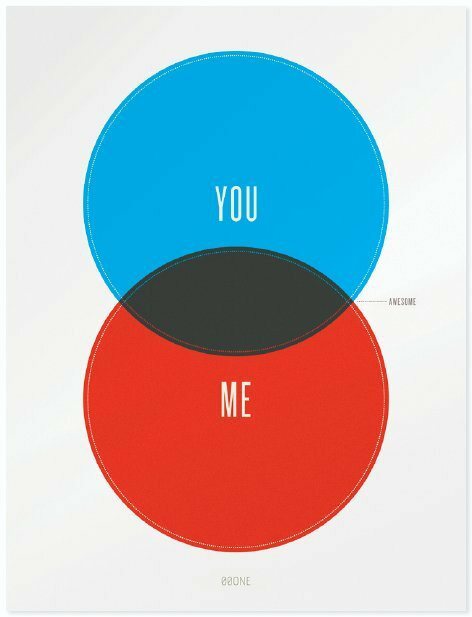 Marriage is like a venn diagram. You have yourself and the things that interest you, are important to you, you enjoy doing, etc. Then you have your husband and the things that interest him, are important to him, he enjoys doing, etc. Then you have an area of overlap where you both have things in common. An area where, hopefully, all your BIG items are. Your values. Your make-or-break items. The essentials. Also hopefully some small things too (I mean I LOVE that Zach and I both enjoy Italian food and both see the importance in traveling and taking vacations as a family). But when you get married you STILL have the “you” section. And he still has the “him” section. The things that make you different. The interests that maybe you don’t share. The areas that you may have to compromise on. Having pets was in my “me” section but not in Zach’s. So he compromised. Living in Valdosta was in Zach’s section but not mine, so I compromised. And some of those things may ALWAYS stay differences. And it’s OKAY to find other people outside of your marriage to complete those needs for you. Zach loves sports. He LOVES competition. I am zero percent competitive and I have zero interest in playing (or really even doing much watching of) sports. Was that a make or break item for Zach? No. He dated a girl before me who LOVED sports and who he would play basketball with and could chill and watch sports games with all the time. But they didn’t have the, more important, bigger items in common. So guess what? She’s not his wife. They were buddies. Good friends. “Loved” each other. Yet, here I sit as Mrs. Zach Parker and I’ve never tossed a basketball with him even once. He has his family. He has friends. All whom enjoy sports and competitive things with him. That’s GREAT! He can fulfill that need of his and has ZERO resentments towards me or any expectations for me to suddenly start chillin in basketball shorts and wearing my hair in a pony tail and rock a sports bra all the time. Recently I’ve been having a tough time with some personal areas of my life. And those personal issues started to affect my marriage. You know why? Because I had needs that I was expecting Zach to be able to fulfill that he simply can’t. Zach is a DUDE. He’s not going to listen to me vent in the same way my girlfriend’s will. He’s not going to give the same type of advice that they will either. As a man, he tends to want to “fix” things and gets frustrated with situations that he can’t fix for me. I realized I was causing an issue with us by expecting something from him that he couldn’t give, and shouldn’t have to! Of course I still share everything with Zach. We are developing such a deeper level friendship that I know will only grow stronger as the years go by. However, I have a great group of girl friends who I can rely on to help me through emotional moments. Casey is there to vent to and love me no matter what. Rachael is there to deflect the situation and find something random to make me laugh. Robyn is there to empathize with me and remind me that I’m doing the right thing. Kelly is there to offer advice from a Godly perspective. Etc. Etc. Each friend brings something different to the table and by seeking for those friendships outside of my marriage I’m actually allowing my marriage to be better. I’m not resenting Zach for not saying the right thing when I vent. I’m not annoyed that he seems bored at my lonnnnng version of my feelings. And he doesn’t feel like he’s disappointing me when he can’t “fix it” for me. It’s important to think about what are your big ticket items and what are areas of smaller importance. If you have a bigger item that you and your spouse don’t have in common it’s def something worth talking about. Maybe you have a goal to be debt free but your spouse doesn’t view it as important and spends whatever money is coming in. Obviously that issue could cause a good bit of disention among you! Money problems are actually the #1 reason people get divorced. Isn’t that sad? If you both have different views on money then that’s something that needs to be worked out! Money, Religion, Children…those tend to be the bigger things that are important to have similar views on. Loves me for me, the good and the bad! I know how blessed I am to have found someone who has so many of the big AND small things that I wanted in a husband. We may not be soul mates. We may not have had love at first sight. We may not have been best friends when we got married. But I’m confident that our bond is one that will only continue to strengthen with time and that our areas of overlap will only get larger as we grow closer together! On the final day of our honeymoon! What are some of your big ticket items? What were some of the things on your ideal mate list? Smart, but not smarter than me! Hahahaha. Is that why we are friends? I'm cracking up at the "doesn't have or want muscles" quality. ha! It's so funny to me to think back to J & me as 16 year olds meeting and dating then getting married as 19 and 20 year olds. We have changed SO much, but fortunately it's been changing and maturing TOGETHER and not growing in different ways. Love this post! Love this! Definitely agree it's SUPER important to have the bigger things worked out BEFORE you get married & have the "non-negotiables" identified beforehand. I think the BEST point you made in the whole post though is that y'all agree to never give up. Vows are NOT meant to be broken. That doesn't mean there won't be tough times. Marriage is tough, and it takes WORK. And because like the Venn Diagram shows, you are two different people. But agreeing not to dip out during the hard times, no matter what, is CRUCIAL. That's exactly what that Scripture in the Bible about becoming "one" means to me….that it's not meant to ever be split apart. (Not that everything is meant to line up & you have all the same interests.) 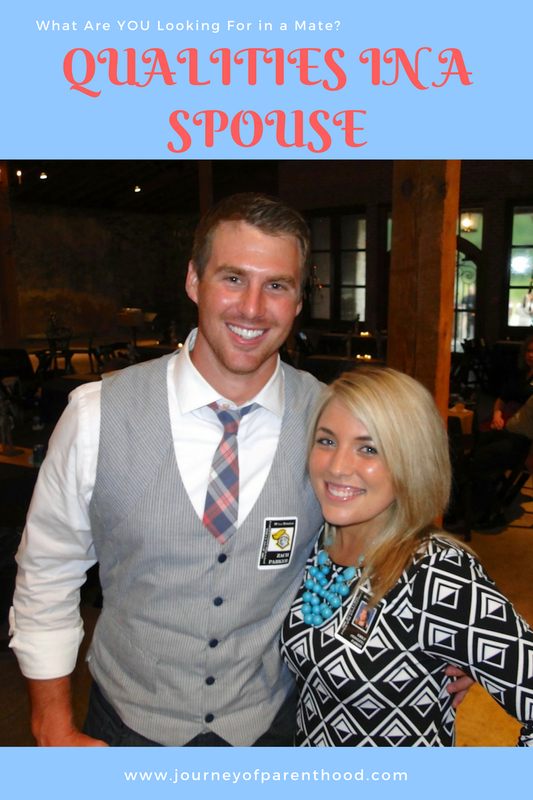 Having similar interests isn't that important to me….but having the same PRIORITIES is key! Hope lots of single ladies read this!! 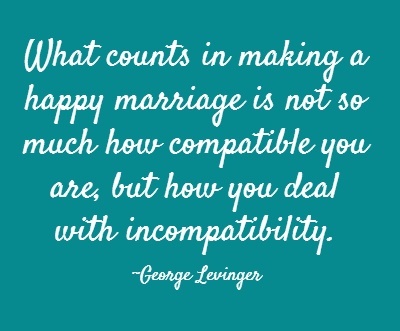 It's great advice in a world that definitely takes marriage way too lightly!